Here at Moretech, we utilise the very latest Solid Works 3D design software so designs can be received and created from any supply software, ensuring a smooth transition from concept to creation. Our in-house 3D printing, supported by our network of suppliers offering state-of-the-art advanced CAD systems for metal cutting, laser cutting, milling and turning, enables us to produce high quality, low to medium volume from prototype to product. All administrative systems are integrated and Moretech has a full Manufacturing Resource Planning (MRP) system enabling the delivery of a specific quantity of products to a chosen schedule. So, If you want ten items per month, every month, on the second day of the month – Moretech can make it happen. Moretech is proudly UKAS-accredited NQA ISO 9001:2015 certified. KOWLOON Motor Bus - one of the world’s largest urban bus firms - turned to Moretech 20 years ago to solve a serious fleet refuelling problem. 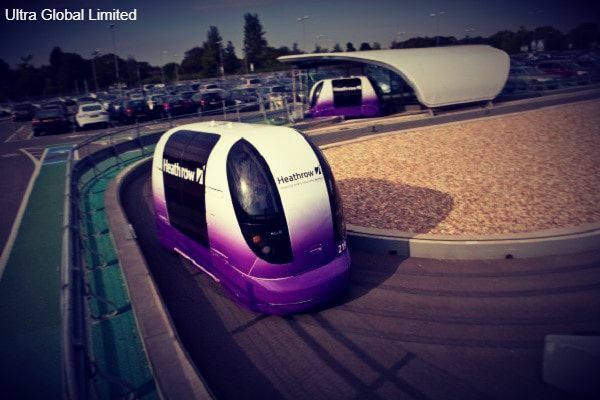 ​MORETECH was approached by the company creating the autonomous, driverless electric pods for Heathrow Airport. LONGSTANDING client Volvo needed a coolant system solution in a hurry - and immediately turned to Moretech to resolve the issue. MORETECH's unrivalled experience in windscreen wiper systems led to a partnership with specialist manufacturer Rosenbauer. when it urgently needed faster refuelling. A Posilock retro-fit was completed across the fleet. AGAIN Volvo turned to Moretech - this time when it needed an anti-syphon device for its commercial vehicles engineering. Moretech is proud to be the global distributor (outside North America) for the market leading Posilock closed refuelling system.